In November 2016 in Beijing, the Chinese Group of Arts Therapy (CGAT) was established, in affiliation with the Chinese Psychological Society (CPS). CGAT is under the guidance of the Committee of Clinical and Counseling Psychology (CCCP) of CPS. 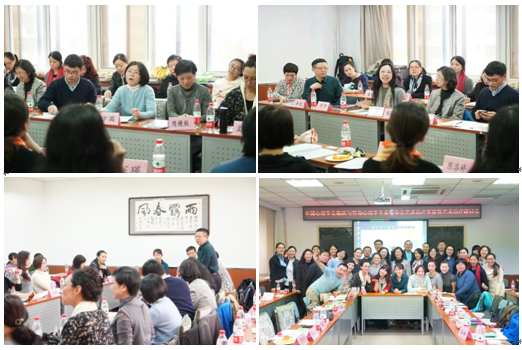 In November 2016 in Beijing, the Chinese Group of Arts Therapy (CGAT) was established, in affiliation with the Chinese Psychological Society (CPS). CGAT is under the guidance of the Committee of Clinical and Counseling Psychology (CCCP) of CPS. CGAT is currently the only working group focusing on creative and expressive arts therapies in the Society. The arts therapy field has grown rapidly in China in recent years, but there are only limited university programs in music therapy, and they produce graduates of varied quality. Currently there are over 900,000 licensed counselors in China who need extensive practical experience, as well as expanded and alternative skill sets, including the arts therapies. This has made it necessary to set up a professional society to support and guide the further development of this profession in the country while ensuring its standard and quality. CGAT was initiated and led by Dr. Tony Zhou, Executive Editor of CAET, along with six other experts from academic and clinical institutions who are on the executive board. On the advisory board, there is also the support of two professors from Taiwan. Under CGAT, four working sub-groups are being set up to cover four major categories, including art therapy, dance movement therapy, drama therapy and music therapy. One of the major goals of CGAT is to consolidate the above four areas and foster more collaboration among them, as well with other fields in China and abroad; this includes verbal psychotherapies, rehabilitation and arts. CGAT will also be working closely with CCCP on the Clinical Psychology Registration for the credentials of the registered psychologists.